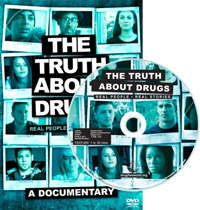 The Truth About Drugs information kit for educators and full education package are specifically for educators and/or those who direct and supervise educators of drug prevention classes, lectures or training workshops. (This includes law enforcement officers working in hte drug prevention field.) We particularly want to make sure that every package is actually put to use in a drug education programme that results in committed, drug-free youths and adults. You can also download all of our material for free at our Downloads & Resources page and you can register yourself as an educator and enrol any students of your choosing at our Drug-Free World Virtual Online Training System, where you are provided lesson plans and resources that can be downloaded and used anywhere and everywhere. If you have further questions or concerns, please email the Foundation’s Programme Coordinator at coordinator@drugfreeworld.org and we will assist as needed. You can also download all of our material for free at our Downloads & Resources page and you can register yourself as an educator and enrol any number of students of your choosing at our Drug-Free World Virtual Online Training System. There you are provided lesson plans and resources that can be downloaded and used anywhere and everywhere. In addition to the activities outlined in the manual, the Foundation welcomes volunteer assistance from individuals and organisations wishing to translate its materials in languages in which they are not yet available. Making charitable contributions to the Foundation: Your generous support helps empower young people with the facts they need to live healthy, drug-free lives. It enables us to make our educational materials available free of charge to schools, youth organisations and other groups and individuals. Fully orient yourself to drugfreeworld.org: As an invaluable resource to both inform and activate others in your community, our website provides the essential drug prevention tools and know-how to launch any broad informational activity and/or educational programme for people of all ages. Get The Truth About Drugs curriculum implemented: The Foundation offers its Truth About Drugs Education Package for free as an aid to educators who teach students 11 years of age and above in classroom, group instruction or community learning settings. Facilitating the adoption of The Truth About Drugs curriculum by local educators is the best way to establish oneself or one’s local organisation as a valued resource in your community. However, all of the Foundation’s printed and audiovisual educational material is copyrighted, so we must authorise in writing any copying, translation and duplication of it. Therefore, anyone wishing to use the Foundation’s copyrighted materials or trademarked logo needs to explain in writing (by email to coordinator@drugfreeworld.org) their intended use. Once approval is granted, we simply ask that you give appropriate credit to the Foundation. To get authorization for a link to drugfreeworld.org, email the Foundation’s Programme Coordinator at coordinator@drugfreeworld.org, summarising your needs and, as you wish, asking for the Drug-Free World web banner. For specifics, email the Foundation’s Programme Coordinator at coordinator@drugfreeworld.org, summarising your needs and giving at least some estimation of time frame in which such a presenter is needed. Our ability to retain the support of our generous contributors—and continue to make our materials available free of charge—depends on keeping our benefactors regularly briefed on our programme activities and accomplishments. This is best achieved through audiovisual presentations and personal feedback from educators and others who are successfully putting the Truth About Drugs materials to use. Videos and testimonials: Nothing is more gratifying to contributors than seeing the results produced by the materials and programmes their donations fund. By keeping our supporters briefed with audiovisual presentations of the programme in action and the filmed testimonials of users of The Truth About Drugs materials, the Foundation continuously earns their support. Within the limits of our resources, we provide technical assistance to professionally film (and photograph) Truth About Drugs education sessions, local activities and events, and personal testimonials about the impact of the programme from participating educators and students. We respect all privacy concerns by having participants (and their parents/guardians where required) sign any requisite waivers. Also valuable in promoting the results of our programme are written testimonials on institutional letterhead. As part of The Truth About Drugs Educator’s Guide, we provide before-and-after-programme surveys. We encourage the use of these assessment tools by each educator who implements The Truth About Drugs curriculum, and we welcome all outcome reports. To keep constantly abreast of participant reactions and programme results, we also periodically send out surveys to individuals who have obtained and are using our materials. If you have the means to provide either or both of the above, please do not hesitate to contact the Foundation’s Programme Coordinator at coordinator@drugfreeworld.org. As we are a drug education and awareness organisation, we may not have the exact type of specialist you immediately need. Nonetheless, we can refer you to resources who specialise in recovery from addiction and alcoholism and who provide information and emergency assistance to users seeking help. As we are a drug education and awareness organisation, we can only refer you to resources who specialise in recovery from addiction and alcoholism – and who provide information and emergency assistance for users, their families and friends seeking help for a loved one.